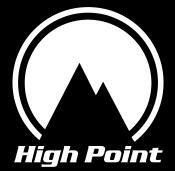 Links - Fitness at 40 50 60 and Beyond - HighPoint Products. EQUIPMENT Versa-Gripps Highly recommended glove/wrap combination that protects hands and fingers when exercising. BT-Burner The best accessory available today for maximizing arm workout intensity. Waterwise Waterwise Home Water Distillers and Air Purifiers DIET & RECIPES The Metabolism Miracle - Diane Kress A wonderful book and collection of recipes for low carb dieting. The Eat Clean Diet - Tosca Reno The popular series of clean eating books by Tosca Reno. MAGAZINES TRAIN magazine The internatonal fitness magazine for health enthuiasts of all ages. Michael Spitzer writes the “Over 40” segments found in each issue.